J-U-B ENGINEERS, Inc. is honored to be included in the 2018 Idaho Private 100—a publication by The Idaho Statesman. J-U-B was recognized as #72 in the ranking this year, up from #75 in 2017. 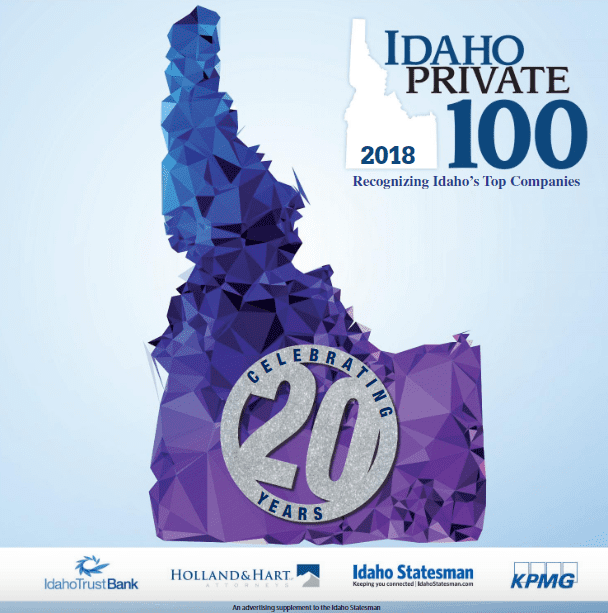 The purpose of the Idaho Private 100 is to provide an avenue for privately owned companies headquartered in Idaho to promote and share the growth of the private sector, while still honoring their desire to remain private. The rankings are based on company revenues from the previous year. Thank you to our employees and clients for contributing to J-U-B’s success!